I hope you are all feeling warm, merry and bright. I feel a bit sacrilegious sharing a cocktail recipe the day before Christmas (must be my Protestant upbringing) but I owe you a holiday cocktail. 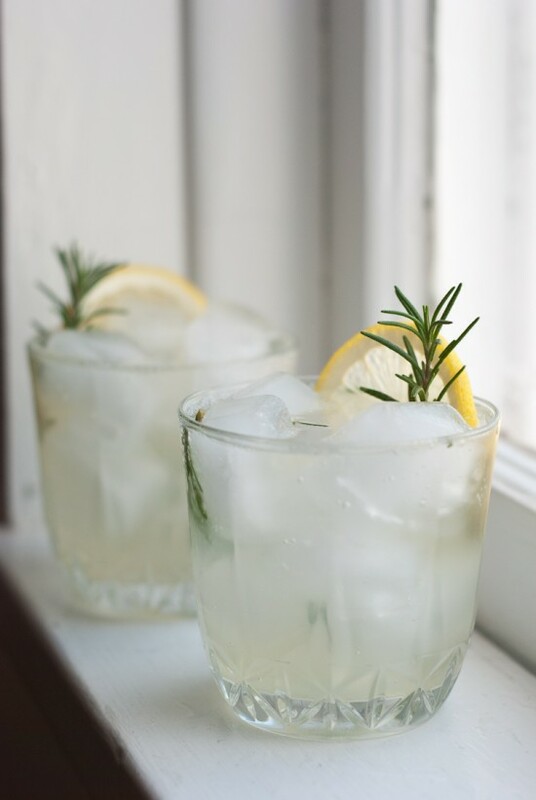 If family time is getting the best of you, run to the store for some gin, club soda, lemon and fresh rosemary and relax with one of these delightful and refreshing drinks. I made this drink for the first time yesterday and it truly became an instant favorite. I was going to talk about my feelings about Christmas and the holiday season today—about growing up a Christmas baby and feeling overwhelmed with love and loss this time of year. But I won’t. I don’t want to interrupt your family time and I need to hurry home to my own family. This year, I’m so grateful that we are healthy and well and I’m looking forward to spending time with loved ones over the next couple of days. Cheers to that! 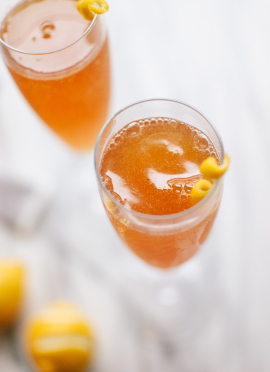 This sparkly little drink only takes a few minutes to make. Santé! Amounts listed above yield one drink. 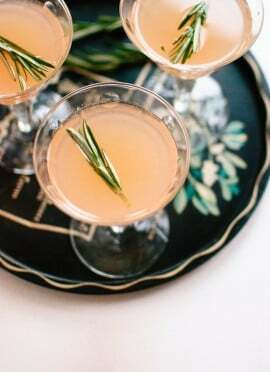 I love herb-y cocktails, I’m making this tonight. Also, I love the glass your vintage-looking glasses. Making this as our pre-Thanksgiving feast cocktail. 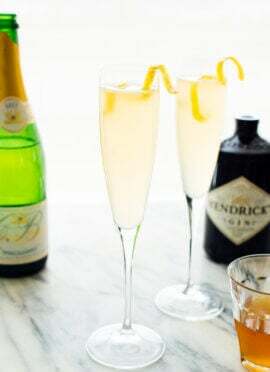 I love gin cocktails and the herbal twist with lemon and honey sounds so good! WiIl let you know what we think, but I am really looking forward to this. 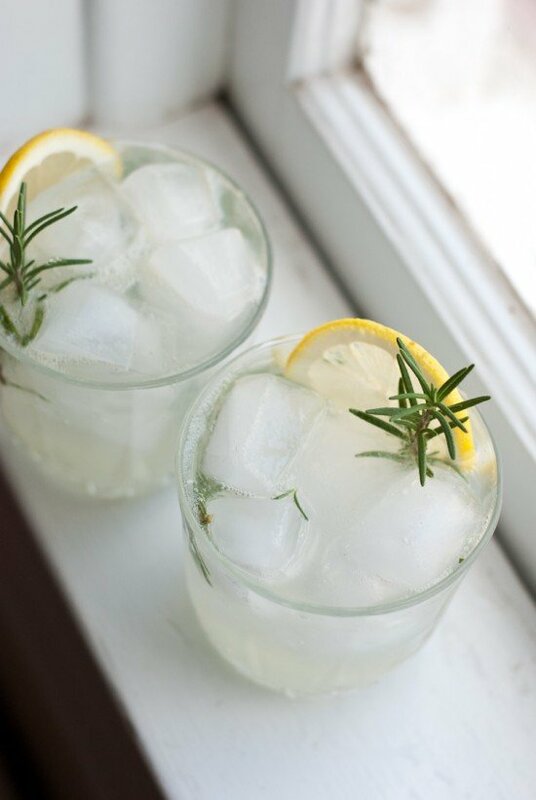 My husband and I are not gin drinkers, but we do like rosemary and lemon. I’m wondering if we can substitute the gin to vodka? Has anyone tried vodka instead of gin?